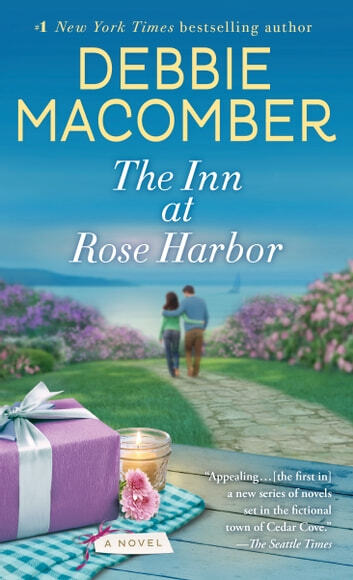 BONUS: This edition includes a The Inn at Rose Harbor discussion guide, excerpts from Debbie Macomber’s Rose Harbor in Bloom and Last One Home, and the short story When First They Met. While I enjoyed this book, I wish it had more depth. I found it predictable. But it was engaging and a pleasant read. Makes one want to continue the story. The first book in the series I enjoyed reading. I loved the way the author keeps readers interestied in the story. This is a fantastically heartfelt novel that launches Macomber’s Rose Harbor series so well. She brings the Inn (and Cedar Cove) to life in such a vivid manner that you can’t help but picture it. 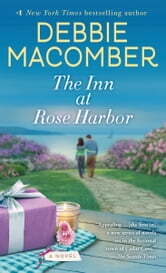 Macomber deals with real life issues while making you feel welcome in her characters’ lives. There is a mellow feel to the writing that you can really lose yourself in. Macomber showcases both the simplicity and the complexity of life. This duality is so prevalent in the everyday that I couldn’t help but relate to the characters, even though I hadn’t experienced the same events myself. I found myself drawn to Jo Marie from the moment I met her. Finding the strength to go on after losing so much was absolutely inspiring, and to do so while trying to help others went above and beyond. I liked the way that we get to see how different people’s lives intertwine in all different ways based on day to day activities. The fact that we get to know more than simply Jo Marie throughout is fantastic. Getting to know the guests at the inn so intimately made me feel like I was really part of the story, rather than simply someone looking in from the outside. And I loved the appearance of characters from Cedar Cove. It was so nostalgic for me, but at the same time, they appeared in such a way that they wouldn’t detract from the experience for new Macomber readers either. Once again, Macomber held me captive throughout. She engaged me emotionally, tugging at my heart while also keeping me hooked with her absolutely delightful plot. Excellent read. Didn't want to stop reading! Excellent read! Didn't want to stop reading. Great ending!